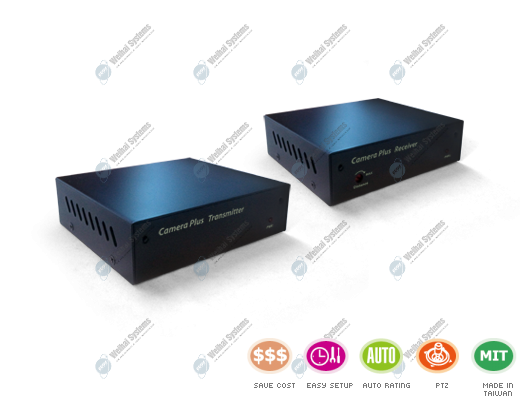 This device is an excellent transmission kit to transmit video with RS485 data via one coaxial cable. No matter you plan to install one new PTZ camera or replacing fixed camera to PTZ camera only one pair via existing cable is done. It takes seconds to connect controlling wires to PTZ controller. Simple and easy for you to install PTZ camera.